Catherine “Catie” Ross is an Oklahoma native coming from a sports loving family. Catie has a passion for helping others which shows by the number of charity organizations she has been a part of over the years. She has served on the Board of Directors for the Relay for Life-Henderson, Nevada Chapter and launched the first successful Amazon Cares Charity Organization in the Las Vegas area. She is involved with the Make-a-Wish Foundation and the MS Foundation. Catie has also been active in the business and leadership communities over the years. She served on several committees for Executive Women International and remains an active member today on a local and national level. In 2007 she won a national title for her Start Up Business Marketing Plan as a member and President of National Business Professionals of America and is currently a member of the Alumni Team. 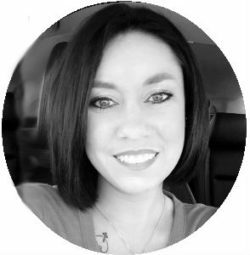 In addition to Catie’s charity and leadership work she has over 10 years of Marketing, Accounting and Management experience in a variety of industries including Education, Oil & Gas and Online companies. Catie enjoys spending time with Zach and their puppy Tybolt, attending family gatherings, watching sports and spoiling her beautiful nieces Jolie Lynn and Myla Rae.